Match ends, Cameroon 0, Colombia 4. Second Half ends, Cameroon 0, Colombia 4. Attempt missed. Falcao (Colombia) header from the centre of the box misses to the left. Assisted by James Rodríguez with a cross following a corner. Corner, Colombia. Conceded by Jonathan Joseph Ngwen. Offside, Colombia. Cristian Zapata tries a through ball, but José Heriberto Izquierdo is caught offside. Goal! Cameroon 0, Colombia 4. José Heriberto Izquierdo (Colombia) right footed shot from the centre of the box to the top left corner. Assisted by Frank Fabra with a through ball. Offside, Colombia. James Rodríguez tries a through ball, but Falcao is caught offside. Delay in match Jerome Guihoata (Cameroon) because of an injury. Substitution, Colombia. John Stefan Medina replaces Santiago Arias. Substitution, Colombia. Abel Aguilar replaces Juan Cuadrado. Offside, Cameroon. Jerome Guihoata tries a through ball, but Moumi Nicolas Ngamaleu is caught offside. Attempt missed. Falcao (Colombia) right footed shot from the centre of the box is too high. Assisted by James Rodríguez. Attempt saved. Olivier Boumal (Cameroon) left footed shot from outside the box is saved in the bottom right corner. Assisted by Karl Toko Ekambi. 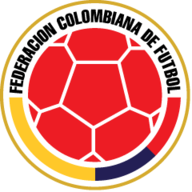 Wilmar Barrios (Colombia) is shown the yellow card for a bad foul. Arnaud Sutchuin-Djoum (Cameroon) wins a free kick in the attacking half. Offside, Colombia. Falcao tries a through ball, but Frank Fabra is caught offside. Arnaud Sutchuin-Djoum (Cameroon) wins a free kick in the defensive half. Foul by Juan Cuadrado (Colombia). Georges Mandjeck (Cameroon) wins a free kick in the defensive half. Foul by Moumi Nicolas Ngamaleu (Cameroon). Offside, Colombia. Juan Cuadrado tries a through ball, but José Heriberto Izquierdo is caught offside. Attempt saved. James Rodríguez (Colombia) left footed shot from the right side of the box is saved in the centre of the goal. Assisted by Teófilo Gutiérrez. Offside, Cameroon. Moumi Nicolas Ngamaleu tries a through ball, but Olivier Boumal is caught offside. Foul by Arnaud Sutchuin-Djoum (Cameroon). Substitution, Colombia. José Heriberto Izquierdo replaces Giovanni Moreno. Substitution, Colombia. Camilo Vargas replaces David Ospina. Attempt missed. Falcao (Colombia) header from the centre of the box is too high. Assisted by Juan Cuadrado with a cross. Juan Cuadrado (Colombia) hits the bar with a right footed shot from outside the box. Assisted by Giovanni Moreno following a corner. Corner, Colombia. Conceded by Owona. Attempt missed. Olivier Boumal (Cameroon) left footed shot from outside the box is high and wide to the left. Assisted by Karl Toko Ekambi. Offside, Colombia. Giovanni Moreno tries a through ball, but Falcao is caught offside. Goal! Cameroon 0, Colombia 3. Yerry Mina (Colombia) right footed shot from very close range to the bottom left corner. Assisted by Giovanni Moreno with a cross following a corner. Offside, Colombia. Falcao tries a through ball, but James Rodríguez is caught offside. Delay in match Wilmar Barrios (Colombia) because of an injury. Robert Ndip Tambe (Cameroon) is shown the red card for violent conduct. Corner, Cameroon. Conceded by Cristian Zapata. Second Half begins Cameroon 0, Colombia 2. Substitution, Colombia. Teófilo Gutiérrez replaces Carlos Sánchez. Substitution, Colombia. Falcao replaces Miguel Borja. Substitution, Cameroon. Moumi Nicolas Ngamaleu replaces Andre Zambo Anguissa. Substitution, Cameroon. Arnaud Sutchuin-Djoum replaces Benjamin Moukandjo. Substitution, Cameroon. Ernest Mabouka replaces Adolphe Teikeu. First Half ends, Cameroon 0, Colombia 2. Attempt missed. Robert Ndip Tambe (Cameroon) left footed shot from the centre of the box misses to the right. Assisted by Olivier Boumal. Miguel Borja (Colombia) wins a free kick in the defensive half. Foul by Andre Zambo Anguissa (Cameroon). Attempt missed. Jonathan Joseph Ngwen (Cameroon) left footed shot from a difficult angle and long range on the left misses to the right. Assisted by Karl Toko Ekambi. Foul by Miguel Borja (Colombia). André Onana (Cameroon) wins a free kick in the defensive half. Wilmar Barrios (Colombia) wins a free kick on the right wing. Foul by Karl Toko Ekambi (Cameroon). Attempt blocked. Jerome Guihoata (Cameroon) left footed shot from outside the box is blocked. Assisted by Olivier Boumal. Foul by Robert Ndip Tambe (Cameroon). Attempt blocked. Giovanni Moreno (Colombia) left footed shot from the centre of the box is blocked. Assisted by James Rodríguez. Offside, Colombia. James Rodríguez tries a through ball, but Juan Cuadrado is caught offside. 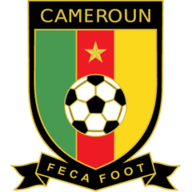 Adolphe Teikeu (Cameroon) is shown the yellow card. Goal! Cameroon 0, Colombia 2. Yerry Mina (Colombia) header from the centre of the box to the bottom right corner. Assisted by James Rodríguez with a cross following a corner. Foul by Giovanni Moreno (Colombia). Jerome Guihoata (Cameroon) wins a free kick on the right wing. Foul by Adolphe Teikeu (Cameroon). Yerry Mina (Colombia) wins a free kick on the right wing. Attempt missed. Giovanni Moreno (Colombia) header from the centre of the box is too high. Assisted by James Rodríguez with a cross following a corner. Goal! Cameroon 0, Colombia 1. James Rodríguez (Colombia) left footed shot from the left side of the box to the bottom left corner. Offside, Colombia. Juan Cuadrado tries a through ball, but Santiago Arias is caught offside. James Rodríguez (Colombia) wins a free kick on the right wing. Foul by Jonathan Joseph Ngwen (Cameroon).